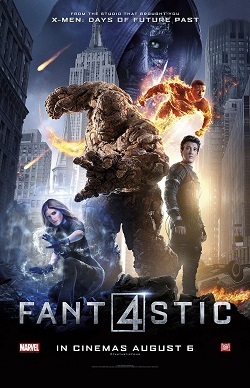 If a movie has the word fantastic in the title it should work really hard to be fantastic. Josh Trank, the director of this current reboot of the MARVEL comic book franchise “Fantastic Four” tweeted: “A year ago I had a fantastic version of this. And it would’ve received great reviews. You’ll probably never see it. That’s reality though.” He implies that the movie he wanted to give everyone is not the movie they are seeing because he didn't have approval of the final edit. Sour grapes? Perhaps. 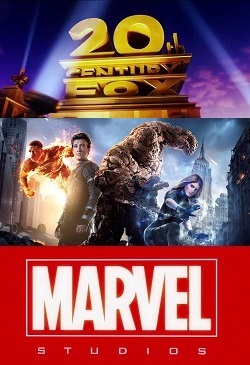 20th Century Fox's Fantastic Four is another of this year's nostalgia-driven films standing alongside others like Terminator Genesys, Jurassic World, Mad Max Fury Road, Ant-Man, and Avengers: Age of Ultron. For this reason viewers will compare it to them as well as to the growing number of other MARVEL super-hero movies. This contribution to the super-hero genre tells the story of a young man, Reed Richards (Miles Teller), who is given the chance to fulfil his childhood dream of building a teleportation device. It turns out his device closely resembles the work of the slightly-older Victor von Doom (Tobias Kebbell). Together they finish the project with the help of a couple of other young people connected to a government research laboratory. They soon learn the device doesn't just send objects and people to another spot on earth, it actually sends objects and people to an alternate dimension—another planet dubbed "planet Zero." With delusions of grandeur, Reed, von Doom, Ben Grimm (Jamie Bell)—Reed’s childhood friend and grade school lab assistant,and one of the project fabricators, Jonny Storm (Michael B. Jordan), set out in the device to become the first men to set foot on an extra-dimensional world imagining themselves to be like those who first stepped on the moon. Neil Armstrong they are not. Everything goes wrong. They narrowly escape death and are rescued by Jonny's adopted sister Sue Storm (Kate Mara). Leaving Victor von Doom behind in the ensuing rescue mayhem, Sue and the survivors discover they are experiencing the effects of exposure to the alien world. Each is transformed into something potentially monstrous: Grimm has flesh of stone; Sue can become invisible; Johnny becomes a human torch with flesh of fire; and Reed's body becomes incredibly flexible, stretching like rubber at will. As might be imagined, the military which has backed the research lab takes an interest. Add to that the predictable return of Victor von Doom as the villainous “Dr. Doom” and Fantastic Four sets its course along a familiar trajectory. The group fights to negotiate its relationship with government and military while working on trusting each other as a team and confronting the movie’s villain. As one could predict, they avoid becoming monsters and rise to the occasion becoming heroes. This is where it becomes obvious that originality was not high on the agenda. With the large number of super-hero films and the repeated re-booting of super-hero products like Spider-Man, originality is the key to good storytelling and box office success. Studios can't afford to play it too safe, yet a degree of safety is tempting because that's where the money is, or where the money should be. With director Josh Trank, who made the creative and unconventional super-hero film Chronicle (2012), 20th Century Fox must have thought it wrapped up the originality end of things, and there are moments where it seems like Fantastic Four is going to break out of the mould of the predictable. However, in the end the movie is not so much fantastic as it is familiar, and in this case familiarity has bred a lot of contempt in the world of film review and pop cultural criticism. It might be good to remember that whatever Trank's vision for the film and whatever the final product might have been, this Fantastic Four is still not the worst Fantastic Four movie. That award goes to the B-movie producer Roger Corman's embarrassingly bad Fantastic Four (1994) which never even enjoyed a theatrical release. For Christian viewers there are not a lot of obvious Scriptural references or themes. Yes, there is a merciless villain with a chip on his shoulder who looks at humanity as lacking; who wants to destroy it for the collective sin of not being perfect; and for its inept stewardship of the earth and its resources; and for its treatment of each other. But viewers had the same thing earlier this summer in Avengers: Age of Ultron and Ultron was a superior villain when compared to Dr. Doom. Both Doom and Ultron however may remind viewers of this verse from the book of Revelation where, after Satan is cast out of heaven, John writes, "Rejoice, O heavens and you who dwell in them! But woe to you, O earth and sea, for the devil has come down to you in great wrath, because he knows that his time is short!” Dr. Doom is a character who lashes out spitefully because things have not gone his way. Like Satan Doom is a resentful evil seeking to cause destruction. One of the strengths of MARVEL Studio films is that they are interconnected and move in the same direction. Because this film is made by an outside studio, 20th Century Fox, it is “out of the loop” when it comes to the meta-narrative MARVEL is developing. This lack of continuity with the various Iron-Man, Captain America, Thor, and Avengers films becomes an additional hindrance to Fantastic Four’s success. Where a movie like this summer's Ant-Man integrated itself seamlessly into the wider MARVEL universe Fantastic Four seems stuck in an alternate dimension with movies like last year’s The Amazing Spider-Man 2(2014). Not the worst, not the best, not fantastic to be sure, but there will be fans of this film even if they don’t include director Josh Trank! 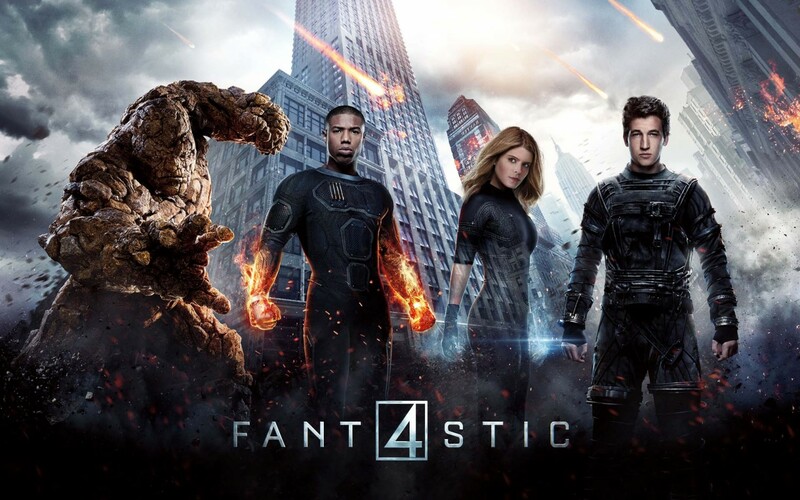 Viewers with little invested in the ever-unfolding MARVEL movie universe will likely get the most out of Fantastic Four; it's certainly a movie where low expectations will serve the audience well. But again, with the word 'fantastic' in the title, expectations will naturally be high. When someone finally gets this story right it will be fantastic. Right now however ... not so much. You can also find this article featured in the Reporter and the Canadian Lutheran. Reported in Variety magazine on-line, see a screen capture of the tweet here.